The Apple Watch appears to be one step closer to release this week, as Apple on Tuesday released the wearable device's software development kit to coders. Developers can now begin working on apps designed specifically for the Watch, which is expected to go on sale in the spring. The accompanying press release also gave some clues about the device's functionality. Apple confirmed that the Watch will complement an existing iOS device, with apps running concurrently on the Watch and a connected iPhone. Both the 42-mm and the 38-mm models will have Retina Displays that could rival the iPhone 5 in terms of definition. And the device will provide a "Short Look" notification when the user raises their wrist, which will expand to a "Long View" by tapping or simply leaving the wrist up for a few seconds. "WatchKit provides the incredible iOS developer community with the tools they need to create exciting new experiences right on your wrist," reads the release, attributed to vice president of marketing Phil Schiller. With new iMacs, iPads, iPhones and operating systems on the market, Apple now appears to be focusing heavily on ensuring the success of the Watch, which the company hopes will become the first widely used device of its kind. 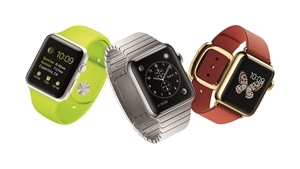 Last week it was reported that Apple had put in orders for system chips for 30-40 million smartwatches. Apple training services are available for users who want to take full advantage of the barrage of new hardware and software products that have been coming out of Cupertino over the past few weeks and months.